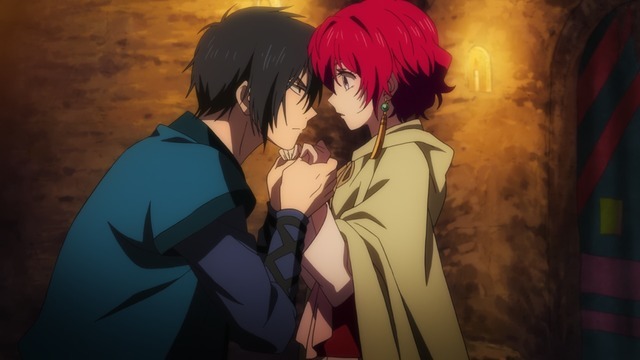 Archive for Akatsuki no Yona. There's also a lot of this sort of thing. Akatsuki no Yona is really good for sufficiently broad definitions of good. This is a backhanded compliment, but I do admit it's not for everyone. Now in its second cour, this anime adaptation remains true to the original shoujo fantasy manga. Fans of the manga will likely enjoy the anime a great deal, but neither the tonal shifts nor the reverse-harem cast will likely appeal to anime fans who may have expected a more typical princess-in-distress series of canned adventures. Viewers don't need to be primed for squealing, KYAA! BISHIES! in order to enjoy the show, but they'll be better off if they at least aren't put off when more and more spikey-haired boys with large hands keep joining the cast. Back away from the princess and nobody gets hurt. That cast does keep getting bigger, though. 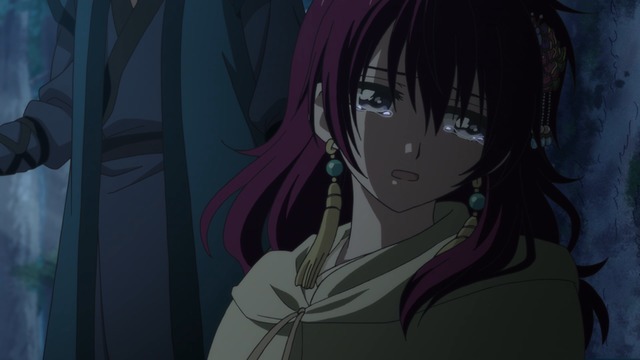 An entire cour has passed and Akatsuki no Yona still hasn't finished introducing characters. I hope the anime isn't set to conclude with this second cour, because it's just getting started in relation to the manga. It really is a good adaptation, though. Saito Chiwa is perfect as Yona, and the anime communicates all the emerging fire-hair staredowns perfectly. That's the real reason to watch Akatsuki no Yona. 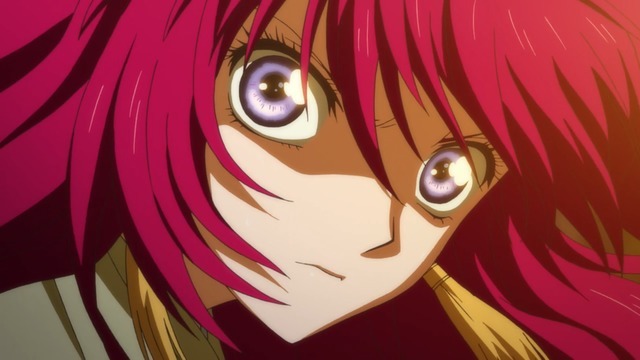 Yona's transformation from a spoiled helpless fugitive princess to a leader of warriors is quite satisfying. I just hope the anime runs long enough to cover it all.